AC to 24v DC Switch Mode Power Supply 15A. Great for powering DC devices such as LED strip lighting and similar. This unit will power 1800 LED lights (0.2w per LED light in a strip usually). Voltage is adjustable via trim pot. Three 24v terminals are provided e.g. for powering 3 separate LED strips. 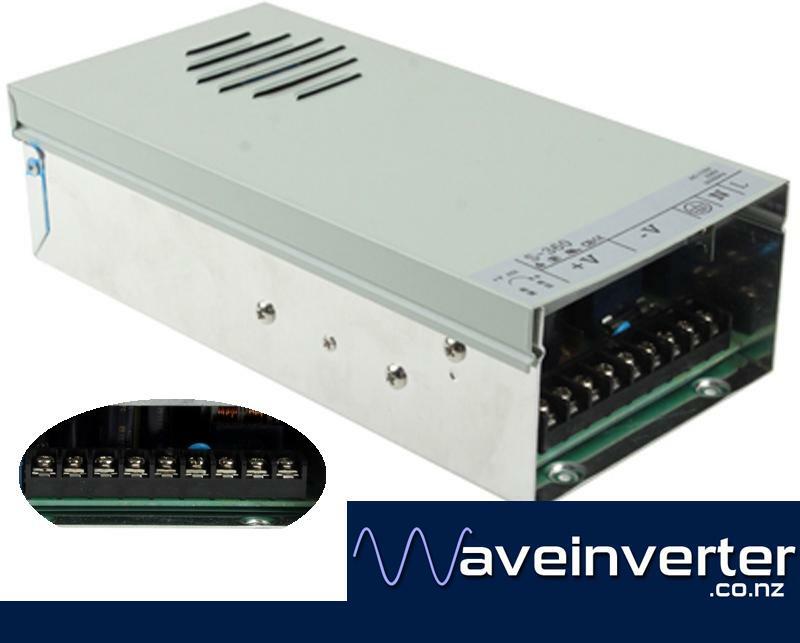 We have these switchmode powersupplies in 12V and 24V at 5A, 20A, 33A and 40A sizes.